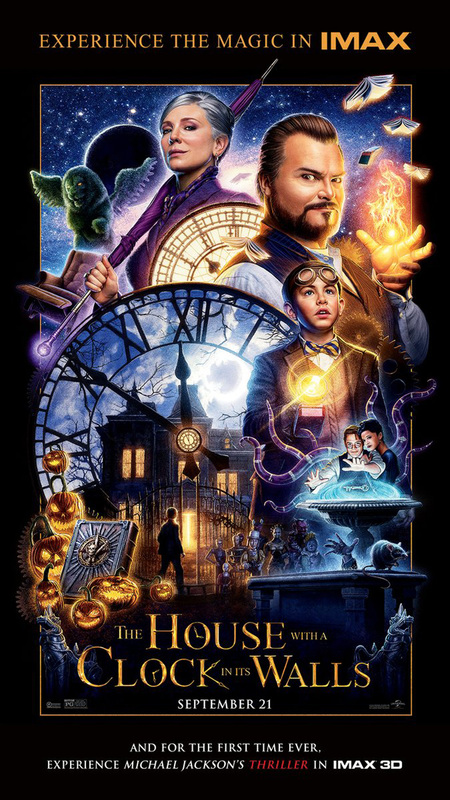 Universal Pictures and Amblin Entertainment have released a new old school IMAX poster for The House with a Clock in its Walls, harking back to the golden age of hand-painted poster art by the likes of Drew Struzan. You can check out The House With a Clock in Its Walls IMAX poster for yourself in the gallery, along with a new director’s diary from Eli Roth below! 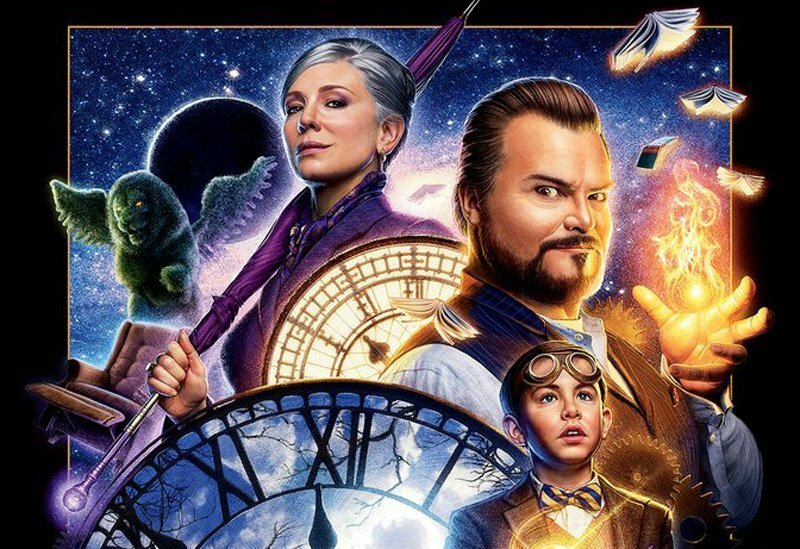 In the tradition of Amblin classics where fantastical events occur in the most unexpected places, Jack Black (Nacho Libre) and two-time Academy Award winner Cate Blanchett (Thor: Ragnarok) star in The House with a Clock in Its Walls. The magical adventure tells the spine-tingling tale of 10-year-old Lewis (Owen Vaccaro) who goes to live with his uncle in a creaky old house with a mysterious tick-tocking heart. But his new town’s sleepy façade jolts to life with a secret world of warlocks and witches when Lewis accidentally awakens the dead. Based on the beloved children’s classic written by John Bellairs and illustrated by Edward Gorey, The House with a Clock in Its Walls is directed by master frightener Eli Roth (Death Wish) and written by Eric Kripke (creator of TV’s Supernatural). Co-starring Kyle MacLachlan, Colleen Camp, Renée Elise Goldsberry, Vanessa Anne Williams and Sunny Suljic, it is produced by Mythology Entertainment’s Brad Fischer (Shutter Island) and James Vanderbilt (Zodiac), as well as Kripke. Executive produced by William Sherak, Tracey Nyberg and Laeta Kalogridis, The House with a Clock in Its Walls will be released by Universal Pictures in theaters on Friday, September 21, 2018. The post Old School The House With a Clock in its Walls IMAX Poster Arrives appeared first on ComingSoon.net.